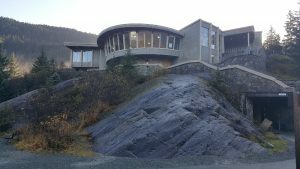 There are numerous ways to experience the amazing views of Mendenhall Glacier. 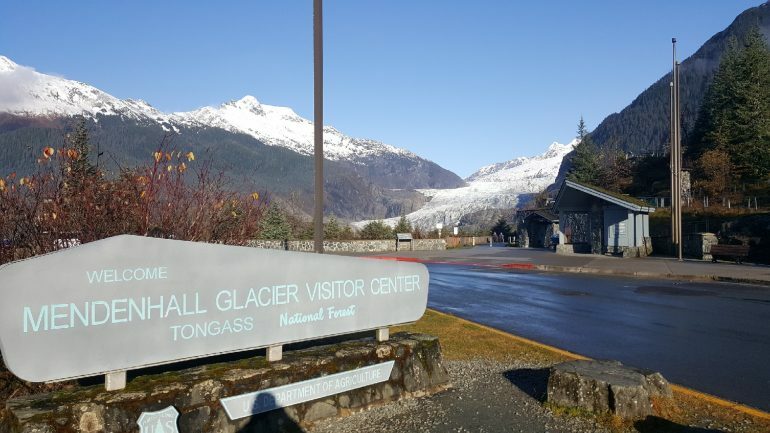 Visitors can hike the moderately rigorous 6 miles of trails including the Trail of Time and East Glacier Trail. The trails offers several extraordinary views from the trail and above the Nugget Falls. 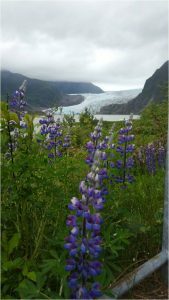 Take the trails in May and you see your day adorned by the crowds of purple lupines throughout the park. After your storybook excursion on the Trail of Time and the East Glacier Trail, you absolutely must walk the Nugget Falls Trail. 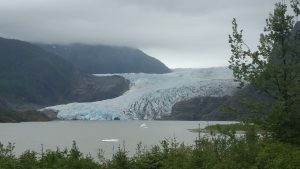 This is an easy, mostly paved trail ending very near the powerful Nugget Falls as well as a closer view of Mendenhall Glacier. 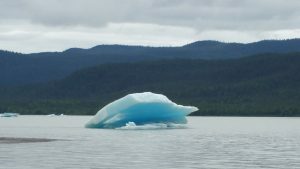 Along the way, you will even have amazing views of icebergs dotting the Glacier Lake. Don’t forget to check out the Photo Point Trail. 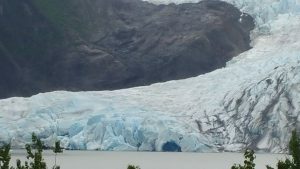 Alternatively, a number of Charter Tours offer specialist adventures such as helicopter rides to support hikes across the actual glacier and even into ice caves. Visitors can arrange tours at the docks where it is convenient for tourists arriving off the cruise lines. 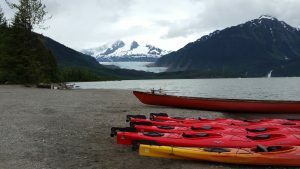 Additionally, Alaska Boat and Kayak Center will rent kayaks and gear and even arrange for transportation to the Glacier Lake for those wishing to paddle. See their website here: http://www.juneaukayak.com/index.html. 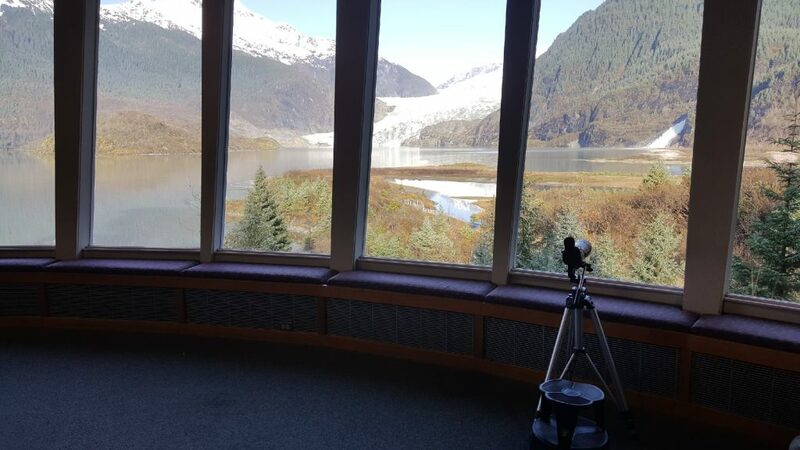 The Visitor’s Center offers an inclement weather alternative so that visitors can enjoy the view indoors. 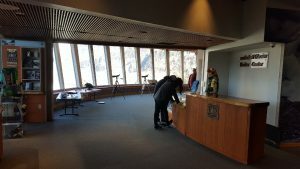 Visitors can learn more about the history of the region as well as facts about the Mendenhall Glacier. 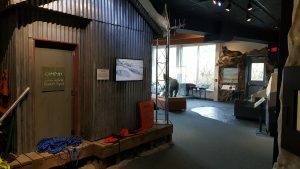 One of the exhibits in visitor center. The view from the visitor center.